1 pair of geta or zori straps : velveteen, twine ; each 13 x 1.5 (circumference) in. 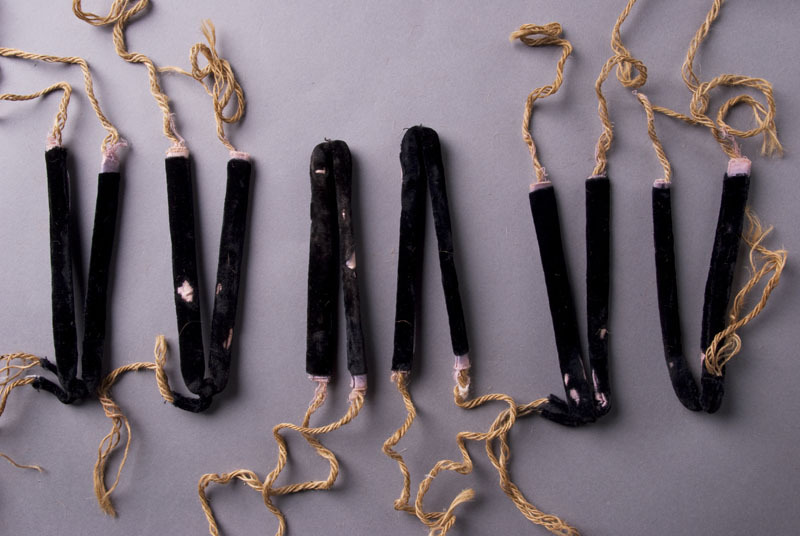 Black velveteen straps for geta or zori stuffed with pink fabric and natural twine; velveteen toe loops to anchor to front of footwear. Twine extends out from straps for anchoring to sides of footwear. Two pieces: right (A) and left (B) side. To be used for dressy occasion footwear.